Arrhythmia is the medical term for an abnormal heartbeat -the heart's beating rhythm may be too rapid or too slow. Arrhythmias typically result from short circuits or changes in the electrical system of the heart; this affects the heart’s ability to pump blood efficiently and can inhibit circulation of blood in the body. Arrhythmia is a risk factor for stroke and heart failure. The Arrhythmia Center at Bumrungrad Hospital in Bangkok, Thailand is staffed by experienced cardiologists who specialize in irregular heartbeat and electrophysiology. Led by Prof.Dr. Koonlawee Nademanee, a pioneer in the field of cardiac arrhythmias and electrophysiology, the team treats patients from Thailand and all around the world. They employ a variety of treatments, including medicine, implanted pacing or defibrillator devices, electrophysiology studies and catheter ablation. 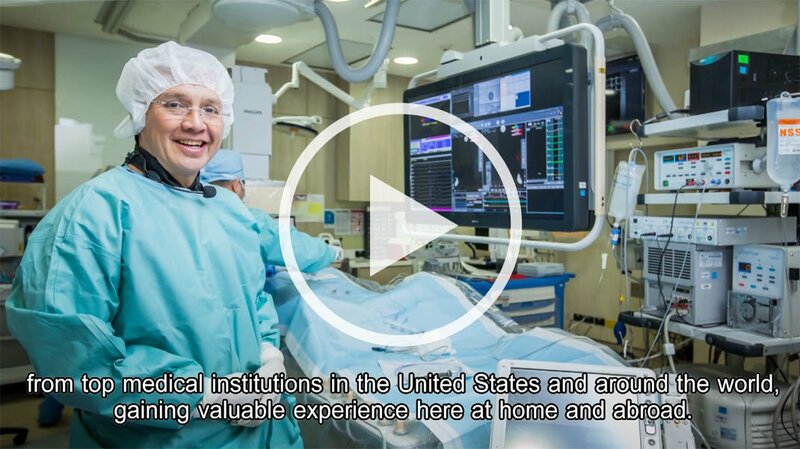 Bumrungrad’s new electrophysiology lab was based on one of the most advanced and successful facilities in America. Follow your doctor’s recommendation for periodic check-ups and screenings . "Ton, 30, used to experience sudden heart racing, felt easily fatigued and fainted often. No physical exercise was possible..."
Prof.Dr. Koonlawee completed a Cardiology Fellowship at the West Los Angeles VA Medical Center, UCLA in 1980. A pioneer in the field of cardiac arrhythmias and electrophysiology, Prof.Dr. Koonlawee developed one of the first successful approaches to the ablation of atrial fibrillation, for which he has received international recognition. He was also one of the very first to describe the Brugada syndrome as the sudden unexplained death syndrome in Southeast Asia and developed ablation therapy for its treatment.